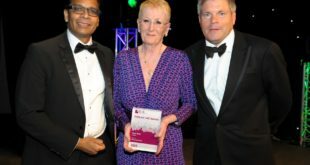 tesa, recognised throughout the Painting & Decorating sector for the quality of its Precision range of masking tapes, is playing a key role in supporting the industry’s skills shortage. 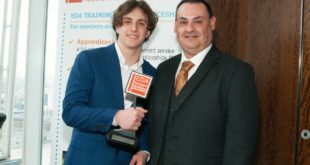 In line with its philosophy to provide tradesmen with the right tools for the job, the company is supplying its range of Professional masking tapes to Dulux Academy. tesa has been a supplier partner for Dulux Academy since its formal opening in March 2016. To date, Dulux Academy has trained over 4,500 decorators and apprentices many benefiting from using the tesa product range during their courses. Synonymous with quality, Dulux Academy now delivers training at over 10 UK venues through a partnership with colleges across the UK, meeting the demands of a wide demographic of painters and decorators. 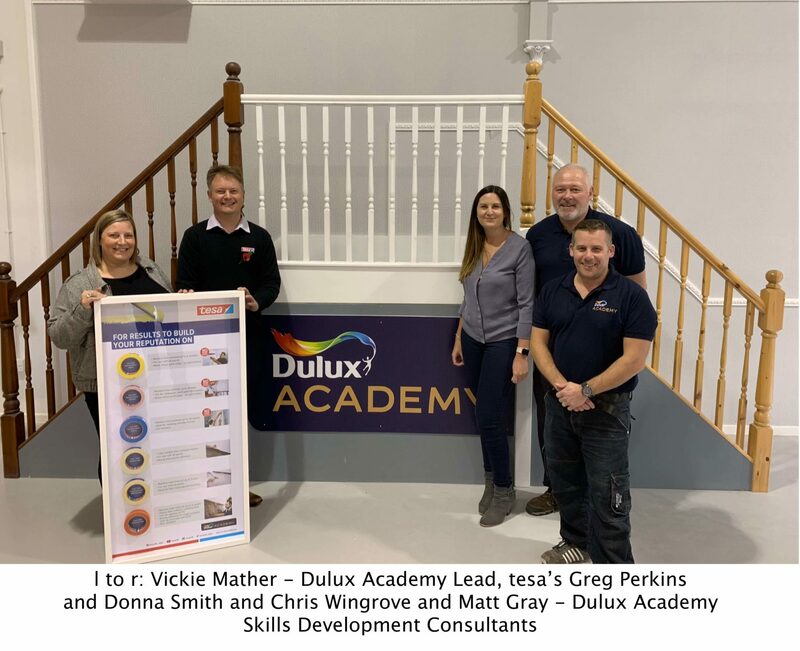 The home of Painting & Decorating excellence, Dulux Academy provides top class training by industry experts, who quickly identified tesa’s Precision® range as their preferred masking tape. Using quality products, innovative techniques and the latest technology, course attendees enjoy theory and practical sessions, supported by interactive demonstrations where they can they can put their new-found knowledge to the test. tesa’s Precision Mask® Indoor, Precision Sensitive (low tack), and Precision Mask® Outdoor tapes are used in training sessions to demonstrate the benefits of using quality tape to avoid paint bleed and get the best results first time. tesa’s EasyCover®, a 2-in-1 masking tape and protection film for large-area masking, is also one of the products showcased. During a visit by the tesa team to the Dulux Academy flagship facility in Slough, tesa’s Greg Perkins, Key Account Manager, Craftsmen Trade and Donna Smith, Trade Marketing Manager, presented them with a new framed display showcasing some of the tapes needed during decorating jobs to help delegates identify which tape they need for specific jobs.